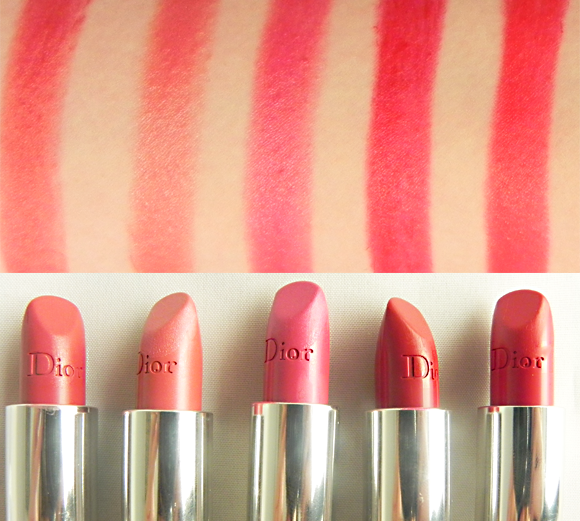 Here’s another big round of swatches for you – this time, it’s the wonderfully textured Dior Rouge lip colour that is under the spotlight. 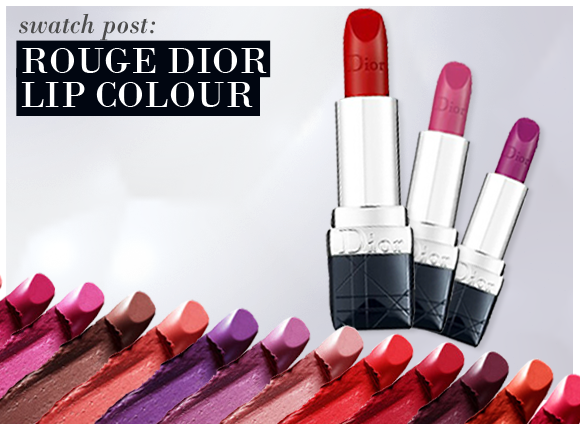 Rouge Dior is the luxe alternative to the more fashion-focused Dior Addict lip shades, offering a mix of classic and haute colours that smooth and colour the lips exceptionally. A new generation of plumping hyaluronic acid microspheres give lips the appearance of fullness, while a high level of pigmentation provides real colour depth. 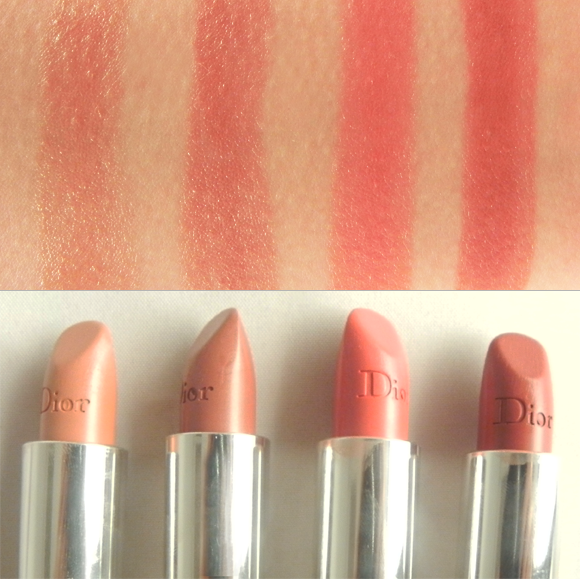 The creaminess of the formulations feels very comfortable on the lips, and each shade is shot through with a subtle dewy shimmer for a flattering effect. 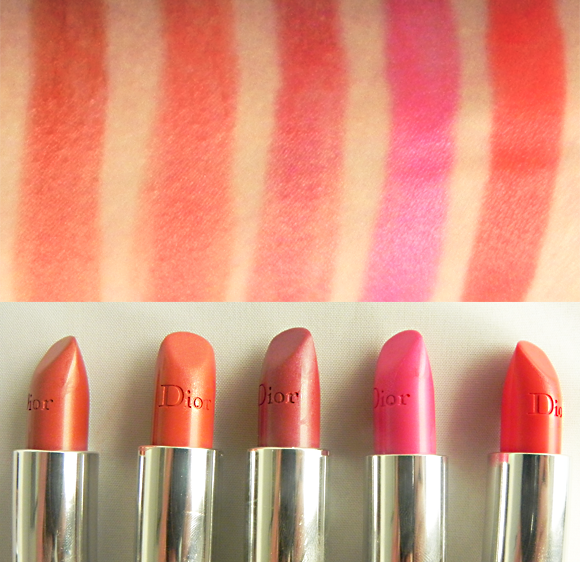 These lipsticks were swatched straight from the bullet onto the back of the arm in two swipes. The shades can be further layered for more opacity. 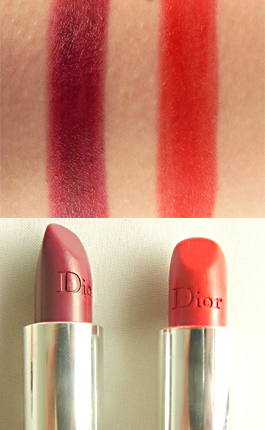 It was so easy to purchase my favourite lipstick from escentual. I had tried lots of department stores and they were all sold out. Rose Pissanelle No. 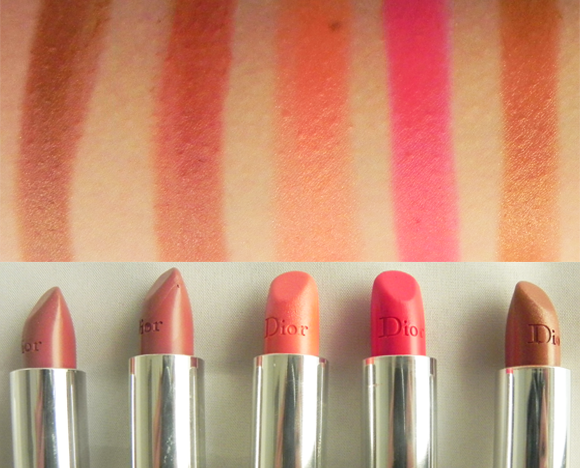 428 is a great natural colour and very moisturising. It is comfortable to wear as well as looking good. 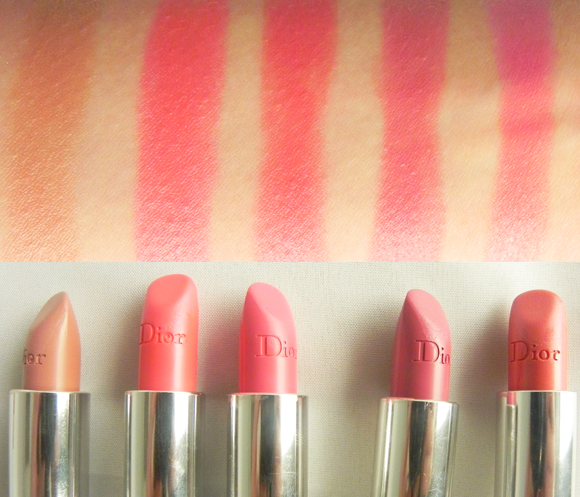 I would recommend this lipstick for all age groups. 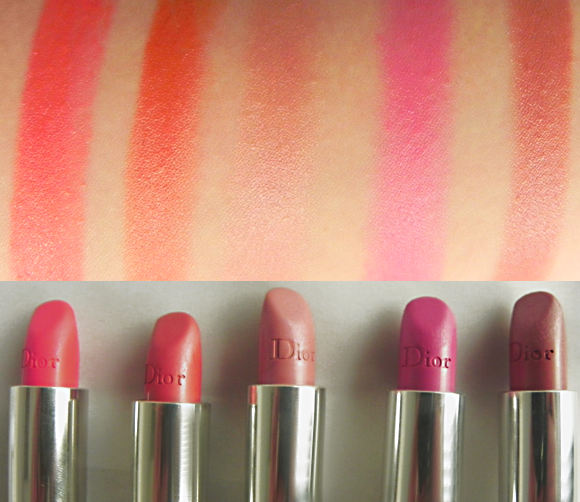 This entry was posted on Thursday, January 12th, 2012 at 10:49 am and is filed under Make-up, Special Post, Spotlight On, Swatches, Tried & Tested, Uncategorized. You can follow any responses to this entry through the RSS 2.0 feed. You can skip to the end and leave a response. Pinging is currently not allowed. Amazing post – so so useful! 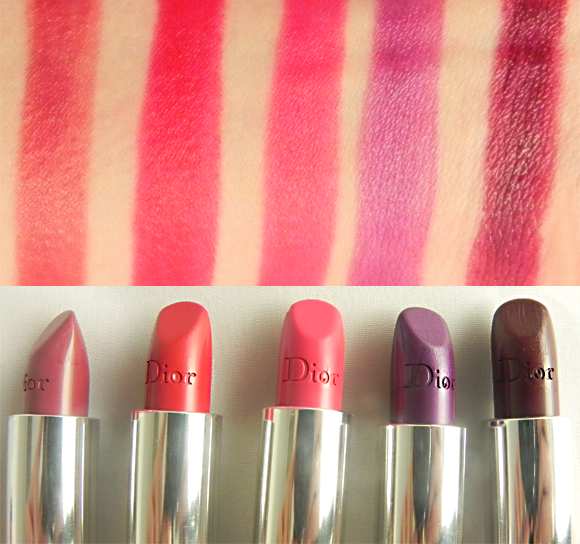 Now, if you could just do swatches of the eyeshadow singles too…!